PORCHLIGHT SMOKER are proud to announce the London launch show for their new album, Porchlight Smoker 4, at Green Note on 23 March. Maverick Magazine have just given the album a 5-star review: ‘the musicianship and lyrics are first class on this album as Americana meets Celtic rock and much else in between’. 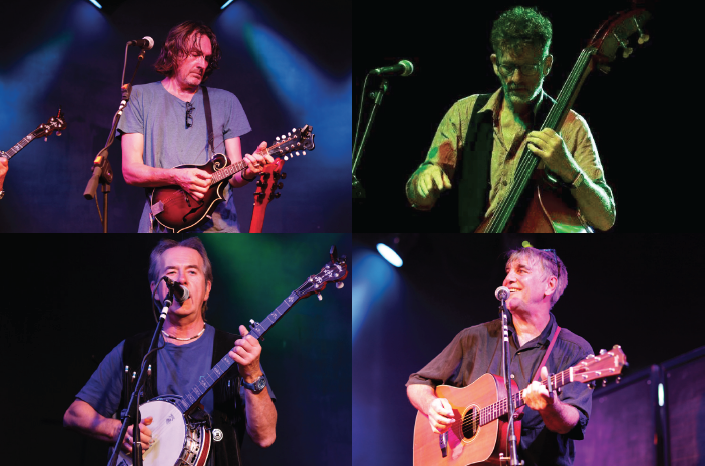 Porchlight Smoker play a wealth of acoustic instruments like mandolin, dobro, banjo, lap-steel, double-bass, harmonica – even clarinet. Three lead singers – Scott Smith, from Wichita, Kansas, Steve Bell from Dundee and London-born Fred Gregory – bring their international mix of vocal and songwriting styles together to form the band’s unique sound.